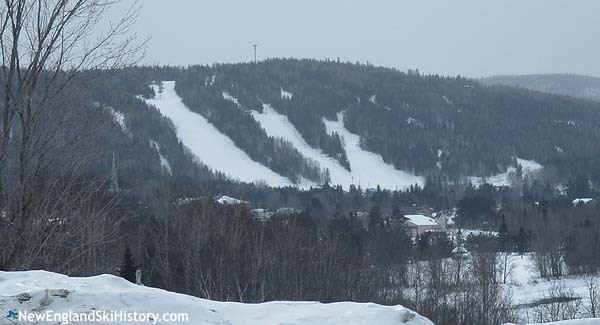 Located on the south side of Fort Kent, Lonesome Pines is the northernmost ski area in New England. The history of Lonesome Pine Trails ski area possibly dates back to a void created with the closure of Fort Kent's County Ski Tow. Perhaps in response, the non-profit Lonesome Pine Trails, Inc. was formed on July 16, 1964. The Lonesome Pine alpine ski area likely opened for the 1964-65 season, serviced by one or more rope tows. The present day Founders slope was the centerpiece of the new ski area. After two decades of operating with rope tows, skiers, businesses, and local organizations contributed tens of thousands of dollars toward the installation of a T-Bar. As a result of their efforts, a used Hall T-Bar was installed for the 1985-86 season, providing top to bottom lift service. Slow, but steady expansion continued in 1995-96, when the base lodge was doubled in size. Meanwhile, in 1999 the Fort Kent Outdoor Center was established near Lonesome Pine Trails with funding from the Libra Foundation. 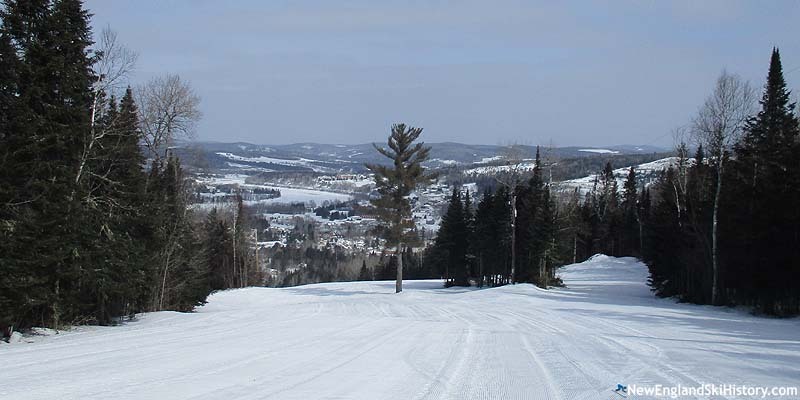 Some of the nordic ski area's trails reach Lonesome Pine Trails. After struggling in winters with poor snowfall and having to turn to temporary snowmaking installations, funds were raised to install a permanent system for the 2003-2004 season, initially covering the Maine and Reservoir trails. Snowmaking was subsequently expanded to cover the Founders and Garbonstingle trails. Lonesome Pine Trails continues to operate to this day as a non-profit entity with the T-Bar, snowmaking, and night skiing.